David is a certified Executive, Career and Personal Development Coach. He works 1-1 with a range of people in the public and private sector in coaching projects in areas like business improvement, career change, personal development and building confidence. Coaching projects seek to enable clients to make desirable and beneficial changes in both their professional and personal lives, to support them to develop and grow. He works with Teams using an integrated combination of interventions to improve team cohesion and performance. Projects usually involve 6-8 sessions 1.5/2 hour sessions over the space of several months, with each session followed up by reflections and actions the client(s) take away to work on. Support is also offered by email and telephone in between sessions, and feedback given on areas such as coaching tools, personal plans and any other elements that the individual or the team is working on. David takes a holistic approach to coaching to enable clients to make desirable and beneficial changes in both their professional and personal lives that help them develop and grow. 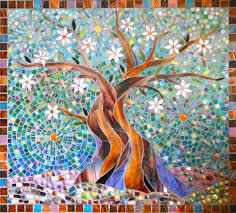 He recognises that with any human endeavour to grow and flourish, there are a complex mix of psychological and practical factors that help sustain real change, hence the picture metaphor of the the mosaic tree; the tree is about growth, and the pieces of the mosaic represent integration of all of the individual’s parts. He focuses on unlocking and unfolding people’s potential underpinned by a solid understanding of human experience and how people change taken from over 25 years of extensive training and experience of working with groups and individuals. He believes that a sound psychological understanding of the areas of counselling and psychological therapies are an important foundation that enhance his coaching practice. David also runs Coaching training courses in house, to develop organisations’ ability to build Coaching capacity. 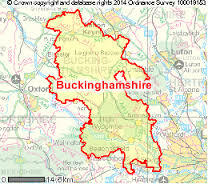 He has helped set up in house Coaching schemes in several organisations over the last 2 years and supports the running of the Buckinghamshire Coaching Pool and London Coaching Pool. These two “pools” have several member organisations with trained in house Coaches offering coaching support to clients from other participating organisations. David works with the organisations by running initial training for Coaches, then supporting them through Action Learning sets to foster their growth as Coaches. Both schemes are growing and flourishing. David has worked in coaching practice for many years and is a full member of the Association for Coaching, an accredited Coach with the Association for Coaching and has a post Graduate Coaching and Mentoring qualification through Oxford Brookes University. 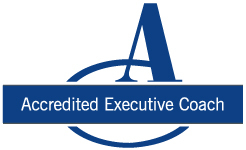 He is an accredited Insights Practitioner using the Insights personality traits framework.. He is also a foundation trained counsellor and has done part of the integrated psychotherapy training at Metanoia Institute. He has foundation training accreditation with the Institute of Group Analysis and familiar with different frameworks such as Neuro Linguistic programming (NLP), Transactional Analysis, and mindfulness practice. “Coaching involves developing your self-awareness and personal responsibility for future development.” John Whitmore. You can view a number of articles and free resources on Coaching and Mentoring theory and practice.